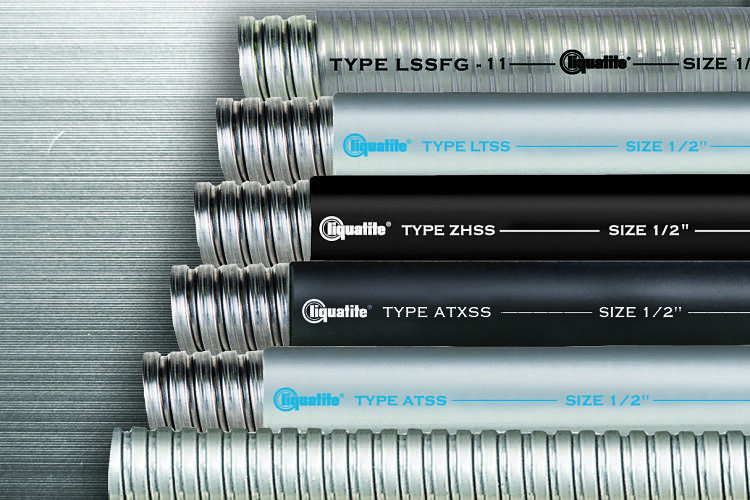 The Liquatite® line includes over 50 varieties of flexible electrical conduits for contractors, OEMs, industrial maintenance and repair (MRO), government, utility and export users. 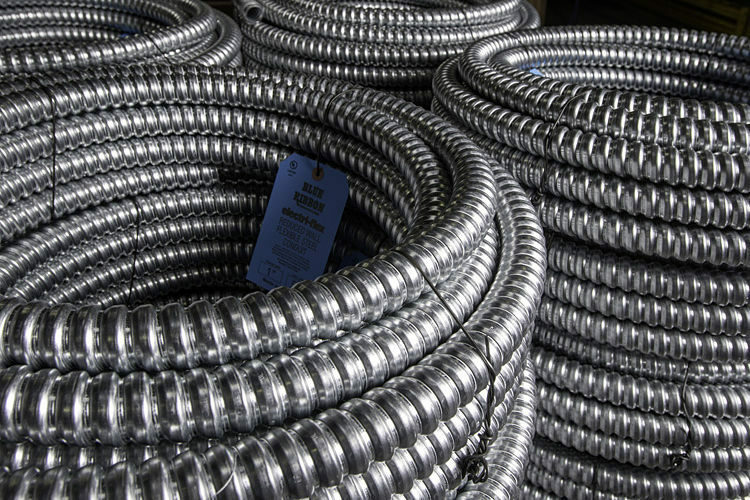 Most flexible conduits are available and in stock. Search by product family below or all products now. Liquidtight jacketed metallic flexible conduits offer a sealed raceway with the strength of a metal core. Conduits range from UL listed and CSA certified products to specialized ones designed for extreme temperatures, non-halogen, low smoke, RFI shielding and food grade applications. Unjacketed Metallic Conduit, often referred to as “Greenfield” or “Reduced Wall Flex”, are free of nonmetallic materials and offer the highest physical protection to electrical wiring. Products offer a flexible raceway with tight bends, high impact and crush strength and UL and CSA certifications. Nonmetallic flexible conduits are made without a metal core and are ideal for corrosive environments, high flexing applications where weight might be an issue. Materials used are flexible and rigid PVC. Products offer sunlight resistance, extreme temperatures, and UL and CSA certifications. 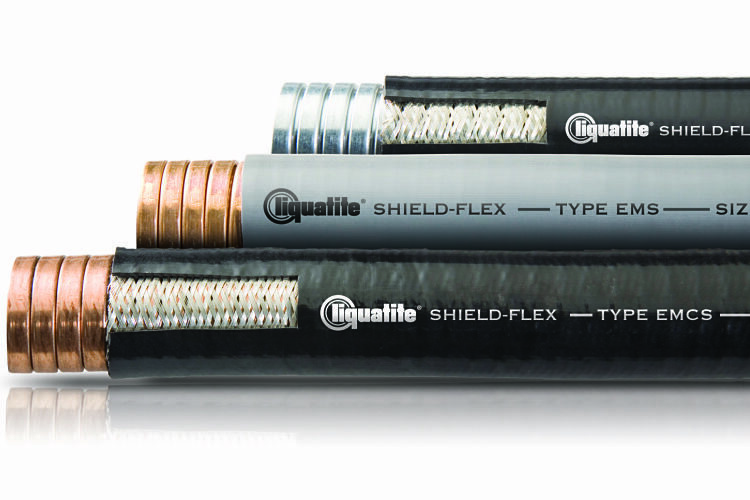 Shield-Flex flexible conduit offers three levels of shielding effectiveness and are used to protect sensitive electronic circuits used in communications, radar and data transmission from Electromagnetic and Radio Frequency Interference (EMI/RFI). It is also available with a halogen-free jacketing. Learn more. 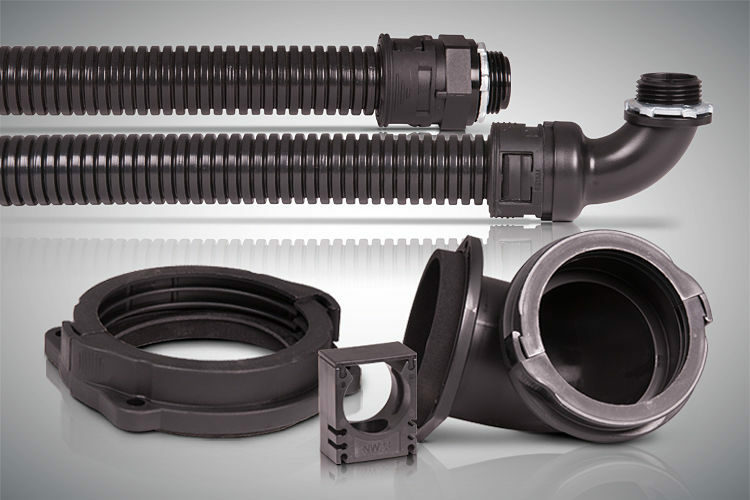 The Corrlok® System is comprised of three types of flexible corrugated nylon conduits and are designed for a wide range of applications. Corrlok provides a very lightweight, liquidtight, flexible raceway that’s easy to work with and stands up to tough environments. Accessories are also available. Learn more. Jacketed metallic flexible conduit is also available with a stainless steel core in 5 varieties: LSSFG, LTSS, ZHSS, ATXSS and ATSS. The core is made of a spiral-wound strip of stainless steel and provides high mechanical strength and corrosion-resistance. Learn More.